I'll be honest, I've never seen Paul Verhoeven's original Robocop but likely only because I am the oldest child and I was born the year it arrived in theaters. There has never been any incentive for me to check it out, until now. Much like with his other futuristic sci-fi flick Total Recall, Robocop has received the remake treatment and so I will rent the original a few days before seeing the remake just so I know what to expect and what the internet will most likely be complaining about. Is it bad that we now have to refer to the internet as if it is a living, breathing thing? Are these the first signs we are entering the world Verhoeven's films always predicted?!? Anyway, my point is, I didn't know what to expect from this trailer or what the final product might offer as I have no precedent for what they should be. What I do see is a rather slickly made, if not generic looking, sci-fi flick that takes the fun/cool premise of putting a police officer in a machine and letting him run wild on the bad guys. The film seems to have plenty of sturdy support in the supporting cast members and a more than acceptable unknown lead for them to rally around. I haven't seen the TV series The Killing for which star Joel Kinnaman is most likely most known, but he seems to have a fair amount of charisma in the early scenes here which means it might be too bad when he turns all Mr. Roboto on us. And once again this first trailer seemingly goes through every beat of the film giving plenty away while there will surely be at least two more trailers that give even more away before February of 2014 even arrives. I hope I'm wrong and that the studio is holding a few plot lines and money shots back, but can't help but feel like they're selling this one as hard as they can. The film also stars Michael Keaton, Samuel L. Jackson, Gary Oldman, Abbie Cornish, Jay Baruchel, and Jackie Earle Haley. 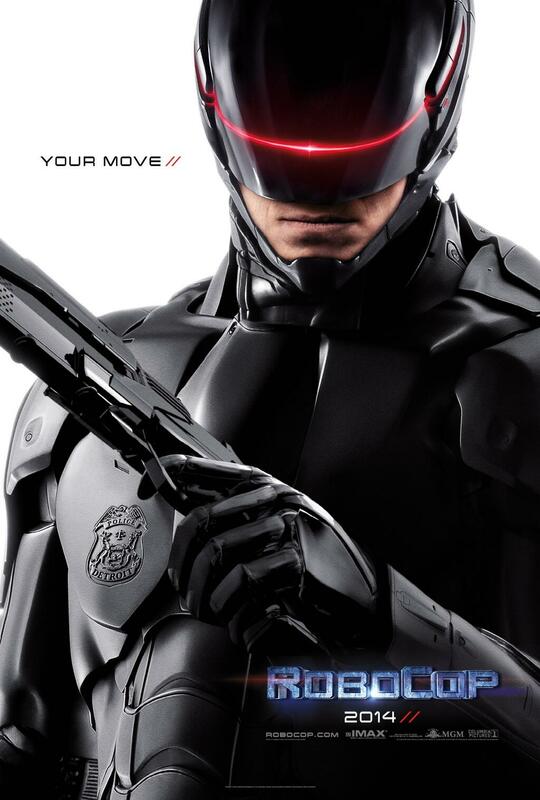 RoboCop opens February 7, 2014. 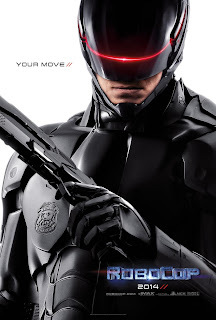 Synopsis: In RoboCop, the year is 2028 and multinational conglomerate OmniCorp is at the center of robot technology. Overseas, their drones have been used by the military for years – and it’s meant billions for OmniCorp’s bottom line. Now OmniCorp wants to bring their controversial technology to the home front, and they see a golden opportunity to do it. When Alex Murphy (Joel Kinnaman) – a loving husband, father and good cop doing his best to stem the tide of crime and corruption in Detroit – is critically injured in the line of duty, OmniCorp sees their chance for a part-man, part-robot police officer. OmniCorp envisions a RoboCop in every city and even more billions for their shareholders, but they never counted on one thing: there is still a man inside the machine pursuing justice.